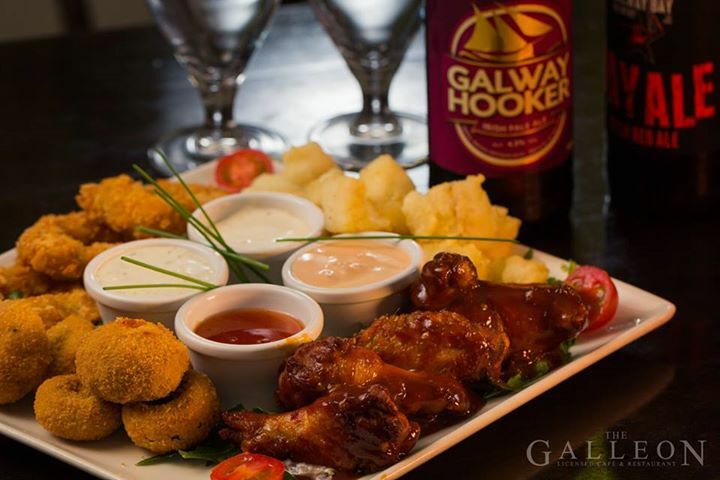 An institution in Salthill, it takes pride in its friendly, experienced staff and its newly refurbished premises, to offer you an exceptional dining experience. 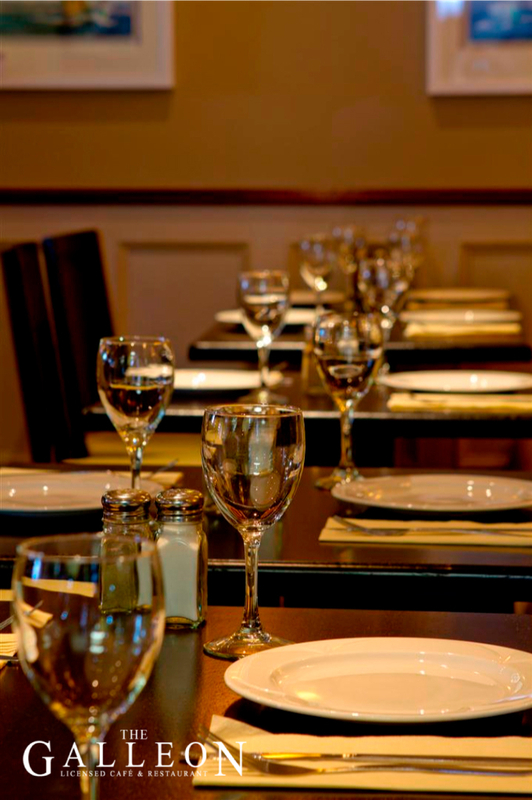 With our extensive menu, we have something for everyone, be it a fussy child, a meat lover or a gourmet eater with a refined taste. Our scrumptious selection of food includes hearty meats, delicate fish, light salads, creamy pasta and indulgent desserts. 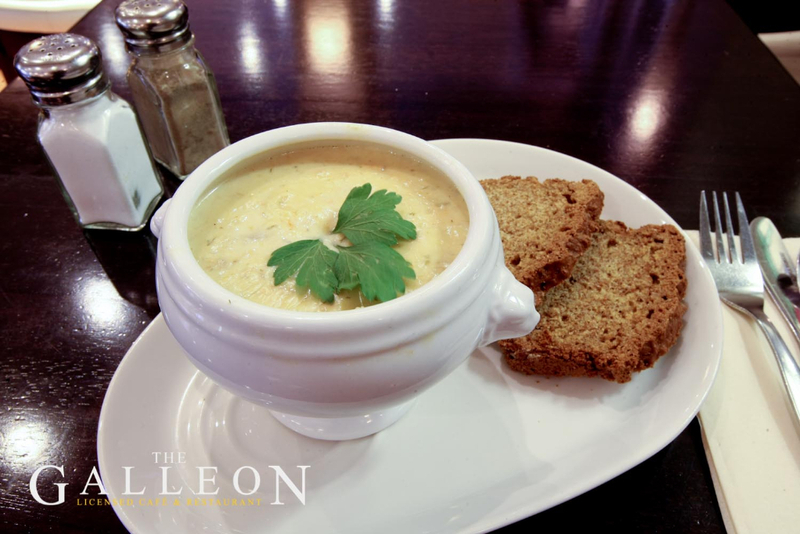 We also have gluten- free options for coeliacs and vegetarian specialities. We keep our young guest entertained with crayons and pictures to colour in, while their parents enjoy a relaxing three-course meal. 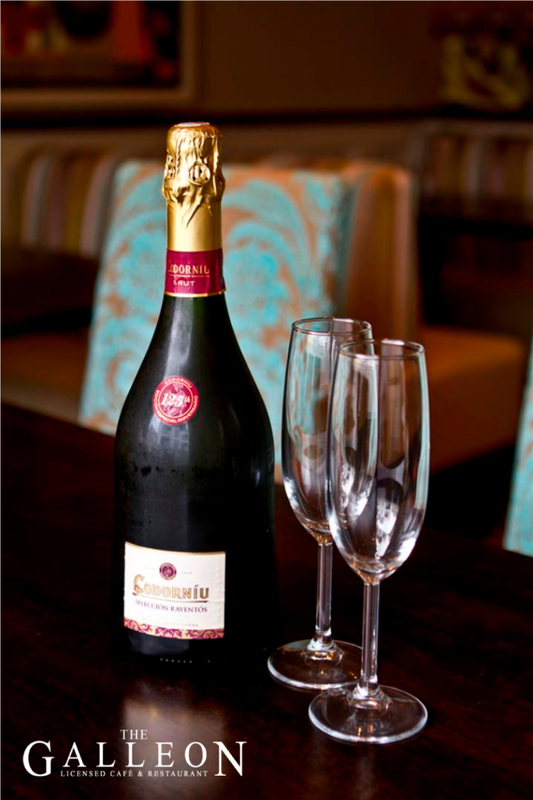 We also cater for parties of up to 30 people in our devoted function room. 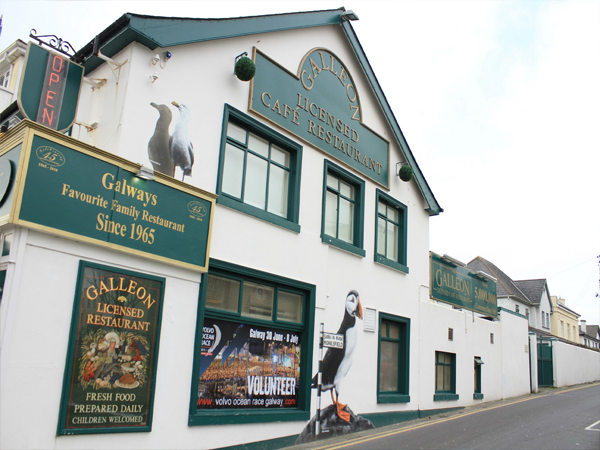 Whether you come for leisure, to enjoy a tea and scone with friends, or for work, to avail of our free high-speed Wifi, you will always find a warm welcome at the Galleon ! 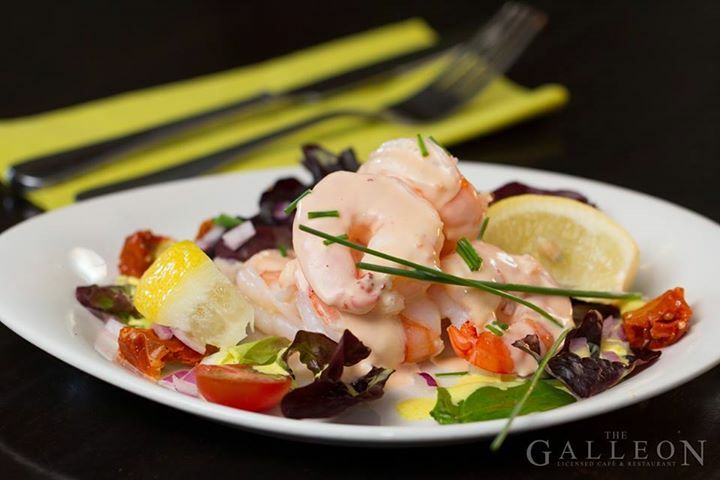 We hope you find all the information you need on our website : have a look at our mouth-watering menu, browse the gallery to get a feel for the special atmosphere at the Galleon, download our exclusive offer vouchers and contact us to make a reservation ! To make sure you never miss our latest offers, like us on Facebook and download the Galleon iPhone / Android App !